Welcome to Tortuga’s long-awaited, lightweight alternative to their flagship Outbreaker Backpack, which has been kind of the gold standard in travel backpacks since…well, since Tortuga came along. But this is the Homebase collection, built for digital nomads who don’t need the heavy-duty, full-featured setup of the Outbreaker. 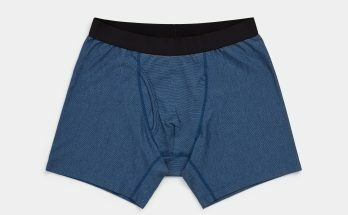 These are lighter, simpler, svelter alternatives that Tortuga fans have been requesting for years, and here they finally are. I received test samples of the whole collection a few months ago––backpack, packing cube, and duffle bag––and now that they’ve officially launched, you can finally get them yourself, so let’s see how they look. From left to right: packing cube, backpack, and duffle bag. This is a 32 liter, carry-on sized backpack designed to be as light as it can get, without sacrificing organization or functionality. The idea here is that it can be your only backpack, given the capacity and mobile-office sort of organization, if you just remove a packing cube of clothing and leave it at the hotel when you step out for the day. It’s big enough to carry your life, but light enough not to weigh you down. Included in the price is a matching packing cube, which we’ll get to below. You’ll want to see a fabric closeup, where you can see the linen-y sort of appearance, and the sheen. It’s a highly water-resistant fabric, with a slick, crinkly texture, much more like a rain jacket than a typical backpack fabric. 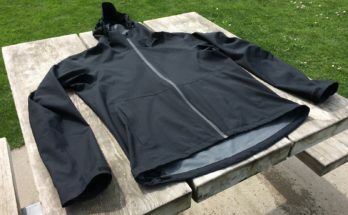 Those water-resistant zippers mean it’ll offer some decent weather protection, whereas regular zippers can leak pretty quickly if you’re caught in the rain. The pocket will fit a water bottle about the size of a Kleen Kanteen, but the mesh isn’t super stretchy, so it’ll help if you’re not stuffing the main compartment to the point that it’s bulging outward. In fact it’s a bit tricky if it’s not just a little empty over on that side, so I think some expanding fabric folds might have been helpful here, and maybe a pull tab so you can pull the pocket open without sticking one of your fingers inside, thus tightening up the space. Though it might be redundant since it has a top handle as well, it’s a nice option for lashing extra gear to the outside. Given the lack of compression straps along the side, this might come in handy. You can see up there how the shoulder straps have a little elastic band to help with zipper dangle, which is nice. With the straps hidden away, you can get a better look at the super-padded back panel, with air channels for extra breathability. Before we move on, I want to mention that the shoulder straps are where I ran into some significant trouble. They’re extremely rigid, and thus not very forgiving. If your shoulders don’t slope at the same angle as the straps, they create a major pressure point up at the neck. This is a common problem with a lot of packs, as there’s no “correct” angle, and I’ve definitely tried worse options (in which the shoulder straps were perfectly horizontal), but this is why I prefer squishier, more malleable shoulder straps, with softer edges. If your shoulders don’t slope at the right angle, these straps are going to dig into your neck, especially since the straps are wider up at the top than down below. Again, I’ve seen worse…but loading it up and trying it on created an immediate pressure point on either side, which is not a good sign. It pulls away enough that the padded back panel isn’t really doing much anymore. Load lifters really would have been a great feature here. The only thing I can theorize is that since it fits rather high up on the torso, it can prop itself up on your hips, down in your lower back area…and although it’s true that it can distribute a bit of weight this way (and that load lifters might have counteracted this effect), it’s still going to feel a little odd as it pulls backward under a full load. You might also be able to see how stiff those straps are; not only is there daylight coming through me and the back panel, but there’s another sliver of light coming through my chest and the shoulder strap…so that’ll give you an idea of how sharp those edges will be if they’re resting on your neck. Fit is certainly going to be subjective, so I’m going to brainstorm the sort of body type this might work for instead of me…which I expect would be someone with a broader frame, especially at the shoulders. If you’re any larger than I am (I wear a men’s size small t-shirt), then you’ll be wearing it a little lower, so the straps will be a little further away from your neck, and if you have muscular, more horizontal shoulders (check the straight-on photo of the shoulder straps up above and you can check the angle to see if you match), then I think it would be fine. A larger frame will also help with the lack of hip belt, which is another challenge for smaller people. Tortuga let me know they wanted to build the pack to fit smaller people as well, which is why it has the shoulder straps sewn in quite low, so the overall length isn’t too long for someone with a shorter torso…which makes sense, but it would still benefit from squishier shoulder straps with softer edges, and definitely some load lifter straps. But this is my only real problem with the design, so that’s the good news. The laptop compartment has multiple slots, so you can take a laptop along with a tablet, and the remaining slot is a nice place for a notebook, too. One thing worth noting here is that the laptop compartment is padded, but the smaller tablet sleeve is not. You’ll notice it also has two top grab handles, which seems a little redundant, but the padded one on the left is the one you grab when it’s in an overhead bin, which is easier when it’s in the center and not very floppy, whereas the one closer to the edge is useful if you need to hang it up on a coat rack, as it needs to be closer to the edge to do this correctly, so they’ll both be useful at some point or another. All compartments have locking zippers by the way, including this one. At first I thought this had something to do with being able to access that top zipper without the key clip getting in the way all the time, but then I wondered if it might have been a deliberate strategy to hide the credit card slots so they’d be out of view. All anyone’s going to see if they’re walking by with this compartment wide open are those pen slots, and the other ones higher up…but not the credit card slots, which is a neat little perk. The pockets here seem very well thought-out. The biggest one will accommodate a standard notebook of printer-sized paper (although it’ll block the top zipper), and the slot just to the right of the pen slots will swallow up a passport deeply enough that it’ll no longer be visible. The black pocket is stretchy mesh, so it’s a good place for a laptop charger, as it’ll vary in size according to the particular device. Along with the business card slots and others, it seems like the sort of layout you’d actually use, rather than a random mishmash of different sizes. I have a feeling they got together one day and dumped everything onto the table to see what they most often brought with them, and then built pockets to accommodate all that. Lastly, you’ll notice in the bottom-right of that photo that the flap has folds in the corners, meaning it’s a 3-D compartment, not a perfectly flat one. This’ll accommodate bulges from the main compartment, or you could stuff extra things in here too. It’s pretty plain and simple in here, with nothing but the open compartment, meaning the packing cube and the other pockets are what’ll keep you organized. You’ll also notice it opens the “long” way, as opposed to the Outbreaker Backpack, which opens the “short” way. I think the idea here was that it would be a little easier to access the contents when sitting at a desk or a table, so you can get in there while the pack is vertical, whereas the Outbreaker is supposed to be set down at the hotel and opened like a suitcase. This one is supposed to be more office-mobile, so vertical access seems to be the priority. There’s enough room on top for a pair of shoes, and then a jacket or two could lay flat over the whole thing, with room left over. The curvature of the packing cube matches the curvature of the pack, so it’ll fit best if placed up at the top (or upside-down at the bottom). As mentioned, this is included in the price of the main backpack. To be honest, I actually thought this was a daypack when I first saw it, as it’s exactly the right size, and so adorably backpack-shaped. I think it would be neat if it had detachable shoulder straps, which would only require a bit of webbing tape on the packing cube itself, and then it could transform into a slim daypack. Given the multiple compartments and water-resistant fabric and zippers, I think it could be pretty great. On the upside, it does have shoulder strap attachments on either side, so you could use it as a small shoulder bag, especially if you’re also using the Homebase Duffle Case, which includes a detachable shoulder strap, which we’ll get to below. That front slot pocket isn’t full-length, by the way; it’s about 6 inches deep, so it’s nice for small things you don’t want falling to the bottom of an abyss. The packing cube is double-sided, meaning you can stuff your dirty clothing into the back pocket as you go, keeping everything separate. I like this better than trying to juggle everything between a rectangular packing cube and a mostly-spherical laundry stuff sack, as the mismatching shapes often require that you reconfigure the pack to get everything to fit, whereas a double-sided packing cube maintains the same shape regardless. It’s a bit hard to see, but the divider panel is “floating,” so it can arch in either direction, so even if one side is completely empty, there’s no empty space left when the other side is packed full. The only downside I see here is that it’s a bit heavy, at 10 ounces. Eagle Creek, for example, makes a double-sided packing cube that’s only 6 ounces, although in a smaller capacity. A lighter, more delicate fabric and a non-padded grab handle probably would have been fine here, as it doesn’t need to be heavy-duty just to handle clothing…but then it wouldn’t double as a shoulder bag, so it might work out anyway. Here’s the companion item: A lightweight duffle bag, in a full-size North American carry-on capacity of 45 liters. This is a plain-and-simple cargo container, for big, bulky items, or whatever else you just want to stuff into a giant bag before you head out the door. It trims the weight by skipping the extras, leaving the organization to its backpack sibling. If you didn’t catch the description above, the fabric is a highly water-resistant, slick and crinkly sort of fabric, and it uses water-resistant zippers to keep the interior nicely protected (though it does have a couple drop-in slots on the outside, so don’t get too crazy leaving it out in the rain). It also has a more “serious” grab handle, hiding in velcro-closure drop-in compartments on either side. It’s a little redundant having multiple grab handles on the top, but I think the idea here was to give you a “real” handle, which overlaps the main zipper, thus reducing the pressure when you carry it over long distances, but they still kept the little one in case you need something to grab while the bigger one is stowed away. It’s all pretty lightweight anyway, so it’s just a minor redundancy. There’s one of those little zippered side pockets on both sides, by the way. That’s it for the outside, so let’s open things up. This is definitely a “stuff everything in there” sort of bag, better suited to big, bulky items that won’t get lost in the shuffle; spare changes of clothing, heavy boots, scuba equipment, art supplies, camping gear, baby stuff, musical instruments, and other giant items come to mind. You wouldn’t necessarily want to haul around a giant bag of heavy gear all the time, but that’s why they call it the “Homebase” collection; you’d leave this at a hotel on a trip where you’d expect to spend some time in the same place––sending your kid to summer camp, doing a Peace Corps trip, or even car camping would make a lot of sense––whereas the backpack is what you’d take around during the day. But anyway, the duffle bag is pretty straightforward. 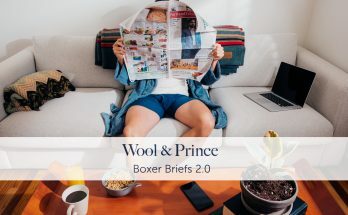 The only other things I have to say about it are that it has a flexible fabric, so you’ll want to pack it in such a way that it maintains its shape. You don’t want it bulging out too far at the sides, which might cause some trouble if you’re trying to use it as a carry-on. It also might have been useful to have some compression, since the 45 liter capacity might only be half-full in certain cases…but loosely-packed clothing has a way of filling up extra space pretty well, so that might be fine. It’s a simple, functional, lightweight, weather-resistant duffle bag, and it does that job quite well. As mentioned, I ran into some fit issues with the backpack, with the wide, rigid shoulder straps creating pressure points on my neck, and the lack of load lifter straps and higher overall placement on the torso made it feel like it was falling away from me. The lack of a hip belt also makes it tricky for smaller people carrying heavier loads on longer walks. Those are definitely the biggest issues worth considering if you think this might be for you. Other minor concerns might be the lack of compression straps, crinkly fabric, giant-cavern main compartment, non-padded tablet sleeve, and the tight water bottle pocket. That said, there’s a lot I like about the rest of the design; carry-on dimensions, laptop compartment, panel loading main compartment, organizer panel, grab handles, stowable straps, and lightweight, water-resistant construction are kind of the perfect combination for frequent travelers. If the straps can work for you (which I expect might be easier on someone with broader, more muscular shoulders), then the rest of the pack is going to work out nicely as well. The duffle bag didn’t give me any trouble, and the panel-loading design makes it more convenient when digging around for gear than a standard duffle bag. It’s a simple workhorse, and it does the job without a fuss. If these are for you, head over to Tortuga to pick up the backpack and duffle, and don’t miss the discount bundle if you want to pick up the set. You might also want to see the Outbreaker Backpack (reviewed over here), which has been on my list of great travel backpacks for quite some time. And does it have a special pocket to cope with unwashed travel underpants? The back compartment of the packing cube won’t let you down. Nice to have a carry on like this when the lightweight suitcase type carry ons are framed and dependent on the vagaries of airlines non standard size allowances. I imagine this is more critical on the European budget airlines where they decide their own permissible dimensions and have a frame at the check-in desk to measure. Over in any dimension and you pay extra up to £60 to put it in the hold. Look at this bureaucratic mess. Yup, it’s a problem. 35 liters is usually good, although sometimes the only bags they allow as carry ons are the personal items, so even 35 liters can lead to a fee in some cases. Thank you for this review! It is well timed with the launch. I am in the market for a smaller pack like the above backpack or the Minaal 2.0. Do you have an opinion about which is a better pack? I would be using it as my only travel bag for business and leisure trips all over the world. I no longer need a large 45L pack for travel, thanks mostly to your advice on how to effectively travel light, so thank you! If you need a hip belt, I’d definitely go with the Minaal. I also find the shoulder straps far more comfortable, as they’re the squishy, softer kind, and they have load lifters, which takes some of the pressure off your shoulders as well. The remaining features are pretty similar, although the Minaal is heavier. The Outbreaker 35 has comfy straps too, though at 35 liters they’re pretty heavy duty, so I think the 45 liter Outbreaker is where they make the most sense, but a fully-loaded 35 pack, with heavy electronics, might work nicely with the Outbreaker’s big straps. Awesome review. Super detailed and deep. I surely looked for a laptop backpack with multiple slots for my ipad and laptop and I think I have found a winner here. Welcome to Tortuga’s long-awaited, lightweight alternative to THEIR flagship Outbreaker Backpack. —– It should be ITS flagship Outbreaker. However I do like the concept of a lightweight backpack. After travelling in South East Asia I found a lot of Airlines with strict 7 Kgs hand luggage rules. I have seen many fancy packback around but they weigh between 1.5 to 2kgs. There will not be much left to store. You’re right, I keep going back and forth between singular and plural…ah well. Maybe it’s because I know some of them by name, so I know there are more than one of them. Great lightweight option, and seems well constructed. Brilliant review, thank you! I’ve been eyeing these bags for a while but am not sure whether to pull the trigger and actually get them. My concern is the duffle is too big to bring on-board with the stricter airlines, and the backpack is too big to work as a personal item anyway, so I’m assuming I’d often have to be ready to check one of them if asked. Which surely defeats the point of the collection advertising itself as a two bag carry-on set? Do you think the duffle would survive in the hold? The fabric seems pretty tough, though it’s not like a super-tough ballistic nylon type of thing. I think it’ll last for white a while, though. It’s also the type of smooth surface that might be repairable with something called Tenacious Tape, which is used to patch a down jacket. Out of curiosity, what do you think about creating a similar ‘homebase’ style set-up using a Tom Bihn Synapse 25 and an Aeronaut 45? That would be glorious and I love both of those bags. Great review, good to know about the shoulder fit. The packing cube looks awesome. Thank you for your in-depth, honest review and for hosting such a simple giveaway. I had some of the same initial sizing and strap concerns and am anxious to try this line out. Also, it was a brilliant idea to split the bags up for your giveaway so more would have a chance! Thanks for all of your helpful reviews, I have really enjoyed your site. No problem. I figured someone else out there might enjoy this more than I could, so I might as well hand it off. As part of your review/conclusion can you compare it to other packs from past experience as well as comment on it’s value? Smaller companies like Minaal and Tortuga seem to price themselves out with $200+ packs that get really expensive when converted to other currencies but maybe that’s the cost of doing business. The bigger companies can definitely take advantage of economies of scale. I like the Gregory Border 35 and the relatively new Cotopaxi Allpa 35 quite a bit. They’re bargains in comparison. REI has a new one called the Ruckpack, which is heavy, but otherwise looks pretty good. But really the only issue I had with the Homebase were the stiff straps, which made it pretty hard for me to use and enjoy.